My Swim Camp Recommendation …. Peak Performance Swim Camp is owned and operated by former Olympic Coach Nick Baker. Over the past 35 years Coach Baker has refined and enhanced the performance of thousands of swimmers, from Olympians to Junior Olympians. 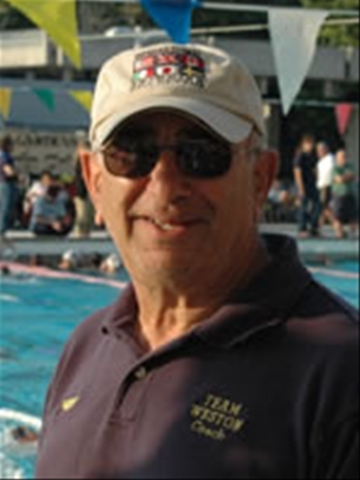 For the past 11 years he has focused exclusively on camp coaching, conducting swim camps throughout the United States and abroad. His coaching style is personal, entertaining and inspirational. He has a knack for simplifying the latest and greatest ideas on swimming. Camp participants report dramatic improvements in their swimming performance. Peak Performance Swim Camp offers a number of clinics and services throughout the United States and abroad. A traveling swim camp (Camps To Go) is also available in addition to year round private coaching. Matt Reed and Julie Swail Ertel earn second of three Olympic triathlon berths. 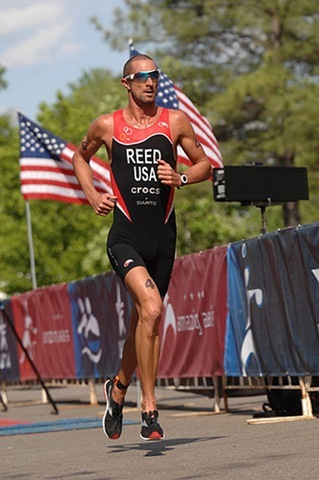 TUSCALOOSA – Matt Reed knew one thing for sure as he rode his bike in the men’s U.S. Olympic Triathlon Trials Saturday. He didn’t want to run with Andy Potts and Hunter Kemper. Reed’s last-lap push on the bike gave him a lead that Potts and Kemper couldn’t overcome as he claimed the second of two American men’s slots in the Olympics. Earlier, Julie Swail Ertel earned her second trip to an Olympic Games as she won the women’s race. The 35-year-old was a member of the silver medal-winning U.S. team in 2000. Potts burst into the lead in the men’s race, surging ahead as he cut through the choppy water of the Black Warrior River. Potts finished the swim in 18 minutes and 17 seconds, 42 seconds faster than Kemper. Reed was fourth at 19:11. The pack of three eventually reeled Potts in on the bike and had pulled even with him going into the final lap. That’s when Reed made his move with a hard push into the wind. Reed, whose brother Shane recently made the New Zealand Olympic triathlon team, had a 25-second lead as the run began. His aim was to hold that advantage. The recently naturalized American considered Potts and Reed the favorites more than himself. He was certain neither felt threatened by his ability to sustain a lead on the run. Sara McLarty was the first woman out of the water in the women’s race. She was part of a lead group of four on the bike with Sarah Haskins Kortuem, Ertel and Sarah Groff. The leaders were initially 20 seconds ahead of the second wave. That lead grew to 48 seconds and then slipped to 44. Haskins Kortuem said Ertel set herself apart with her transition from the swim to the bike. Ertel said she won the race on the run, which has been a focal point of her recent training. “I just ran my heart out from three weeks ago to about a week ago,” she said. “I did three running races in three weeks, trying to (get) my running speed down. “I knew as soon as I got off the bike I felt good, really rested,” the 35-year-old said of her Saturday effort. Saturday’s winners joined Jarrod Shoemaker and Laura Bennett, the first American man and woman to finish the Beijing World Cup last fall. The final U.S. qualifiers will be determined at the June 22 Hy-Vee Triathlon in Des Moine, Iowa. With two second-place finishes, Haskins has the lowest score of four. The only person who could unseat her is Groff, who finished third. If Groff is the first American woman to finish in Des Moine, she would net four points and her victory there would provide her the tiebreaker edge. In the men’s competition, it’s not as simple. Potts and Kemper each have five points with a second and third. Most likely, the first finisher between those two would get the third spot. However, Brian Fleischmann and Doug Friman each have one point with a fourth-place finish. Either would get the third spot if he were the first American finisher and Potts and Kemper finish third or lower among the Americans.